The Trans-Pacific Partnership (TPP), part of US President Barack Obama’s promised pivot to Asia, has stirred up a hornet’s nest on the ethics of trying to hammer out a trade deal in secrecy. But it is not the only one. A proposed trade agreement in Asia, the Regional Comprehensive Economic Partnership (RCEP), is facing the same hiccups and flak. The eighth round of negotiations for the RCEP concluded this month at the Japanese city of Kyoto amid a shroud of secrecy and intense speculation. There is no official text available for the public to assess what specifically was being negotiated. But drafts leaked by the US-based nongovernmental organisation Knowledge Ecology International (KEI) of recent proposals from Japan and South Korea on the chapter on intellectual property point to RCEP being similar to the TPP in significant aspects. This has raised the hackles of activists campaigning for access to affordable medicines. KEI also uploaded leaked drafts of the negotiating positions of India and the Association of Southeast Asian Nations (ASEAN) on its site this month. In the absence of confirmation or denial from the negotiators, speculation about negotiating positions continues. Civil society protestors and health advocates say the issues at stake are critical and an informed debate is vital before the next round, scheduled to be held in Kuala Lumpur in July. 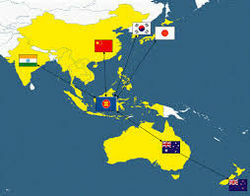 Started in May 2013, the RCEP is being negotiated between the 10 ASEAN countries and their six free trade agreement partners: Australia, China, India, Japan, New Zealand and South Korea. The negotiations are meant to “boost economic growth and equitable economic development, advance economic cooperation and broaden and deepen integration in the region through the RCEP,” according to the ASEAN website. Several countries involved in negotiations on RCEP, including Japan, are also participating in the TPP negotiation being led by the United States. Of the two, the TPP has been a lot more in the public eye and kicked up much more storm to date, but both proposed trade deals have one key sticking point in common. Intellectual property rights and access to life-saving medicines is as prickly in the RCEP negotiations as it is in the TPP talks. Both have been slammed for lack of transparency. Recently, India has been one of the sites of vocal protests by patient groups and health activists who say that some RCEP countries – notably Japan and Korea – are trying to aggressively push for stronger intellectual property provisions in the trade agreement. If accepted, these could extend monopoly protection beyond what is required by existing international agreements. Activists say this would impact access to affordable medicines in developing countries. Farmer’s groups, trade unions, civil society and patient groups have urged the Indian government to make the negotiating texts public and hold consultations with all the relevant stakeholders, in light of the potential negative impact this agreement could have on access to medicines, livelihood of farmers, quality public services and overall social and economic development of the country. Patient groups including Delhi Network of Positive People (DNP+) along with International Treatment Preparedness Coalition-South Asia have rallied outside the Embassy of Japan in New Delhi to flag the alleged dangers the trade deal poses to access to medicines. Dhar feels that the Indian government should have ensured that at least some experienced persons with deep knowledge of India’s position on IPR are there at the negotiating table. Reports in the Indian media say that India, the “pharmacy of the developing world” and maker of low-cost generics, would resist a push by Japan and South Korea for stringent patent legislation. But given the concerted pressure, the question remains: for how long? It is not only Indian IPR analysts and health advocates who are complaining of excessive secrecy surrounding the RCEP. Townsend, a member of the People’s Health Movement and the Public Health Association of Australia, along with Deborah Gleeson, lecturer in public health at La Trobe University, Melbourne, and Ruth Lopert, adjunct professor, Department of Health Policy & Management at George Washington University, flagged the veil of secrecy around RCEP in an article titled, RCEP: the trade agreement you’ve never heard of but should be concerned about on 8 June just as the talks were about to start in Kyoto. Why is IPR becoming such a thorny issue in regional trade agreements like the RCEP and what can be done to address the concerns of health advocates? “However, it wasn’t clear if Australia was supporting low and middle income countries in the negotiations to strike a better balance between public and private interests,” Townsend added. “A lot has happened since then and we don’t know how these issues will play out in the negotiations. Australia was a key proponent of ACTA which did contain stringent IP measures – so it is not clear cut.” ACTA refers to the contentious Anti-Counterfeiting Trade Agreement that was defeated due to popular criticism, including about IPR. The Australian public knows very little about what is being negotiated in RCEP, which is why the Public Health Association of Australia and others are calling for the release of treaty text before it is endorsed by Cabinet, Townsend said. Meanwhile, from the industry standpoint, at a public function in March this year, Jyotsna Suri, president of the Federation of Indian Chambers of Commerce and Industry (FICCI), spoke appreciatively [pdf] about the current leadership in India that is focused on enhancing engagement with ASEAN. This clearly reflects in its declaration that India’s “Look East Policy” has now changed to “Act East Policy,” she said. Suri said the wide-ranging free trade agreement in 2009, Trade in Services and Investments Agreement with ASEAN, coupled with the ASEAN Economic Community and the proposed RCEP, have the potential to change the regional architecture and bring India a step closer to realising the dream of the “Asian Century”. The 9th round of RCEP negotiations are scheduled to take place in Kuala Lumpur, the Malaysian capital, next month. "Secret Regional Comprehensive Economic Partnership (RCEP) Takes Centre Stage In Asia" by Intellectual Property Watch is licensed under a Creative Commons Attribution-NonCommercial-ShareAlike 4.0 International License.